Unfortunately we would'nt have any double wall options in that size i'm afraid. I have a Specialiszed Globe foldable bike. I need to replace the rear wheel. I would like to ask for advice, because I bought previously a wheel that doesn't fit (in a different shop). The current wheel is a Alexrims DA16 Double wall 6061H-T6 406x16. It is a 20 inches radius. Do you have something similar in the store? I will need something with the spokes, what options do I have? We would recommend calling us on 01278441500, we have a number of options but will need to know a few more details, otherwise visiting a local Specialized dealer may be a good option. What is the external width of these rims? looking for black 20 inch narrow (like 18mm-20mm) external outside to outside width. Will these work? External is 19.5mm and internal 14mm. What is the internal rim diameter for this rim? What is the ERD of this rim? This rim has an ERD of 376mm. 1) how much do they weigh? 2) presta or schraeder valve? 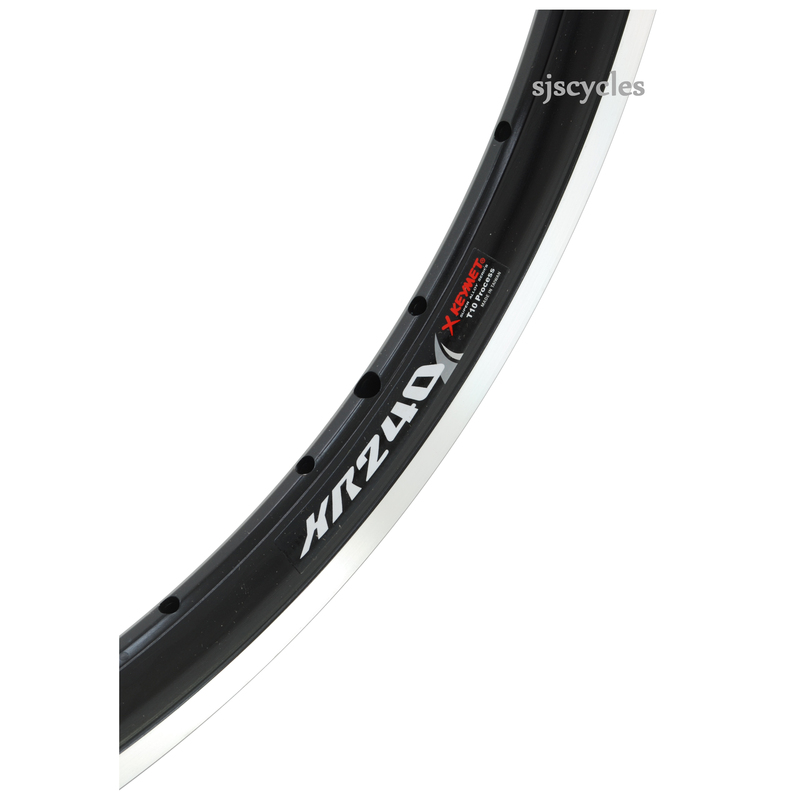 4) would you recommend these or Sun CR18 for lightweight summer wheel for Moulton TSR? These rims weigh 309grams and they are drilled for presta valves. these rims are very narrow at 14mm internal meaning that the maximum tyre width we'd recommend would be 28mm. Although these are slightly lighter because of the compatibility with the tyres you'd be looking to run we'd have to recommend the CR18 rims instead.